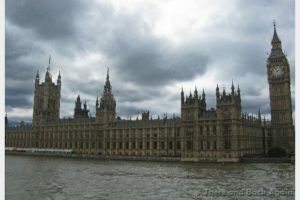 We love to explore the many ways that travel can be a teaching tool! The experiences that kids have when traveling help to build their brains and enhance their development in ways that few other activities can. A little preparation and work before the trip can help kids to better understand and get the most benefit out of the experiences that you will have during your trip. 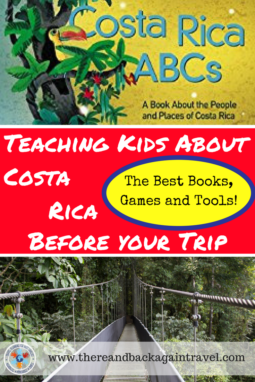 These are the children’s books about Costa Rica and activities that are on our short list before our upcoming trip. Our upcoming trip to Costa Rica is the first adventure in our series of “12 Family Trips in 12 Months”. Follow along by subscribing to our newsletter, or by following the hashtag #12familytrips on Twitter, Instagram, Pinterest or Facebook! The links below go to Amazon (I get a tiny commission if you click on them) but you could just as easily look them up at your local library. Professor Noggin’s Rainforests – A Educational Trivia Based Card Game For Kids : I LOVE card games for travel. They are compact, relatively lightweight and offer so many opportunities for learning. This one looks great for our upcoming trip to Costa Rica. Melissa & Doug Wooden Stamp Set Bundle – Stamp a Scene – Rain Forest and Bonus Rainbow Stamp Pad : Get your kiddos excited about your trip to Costa Rica with this great stamp set! 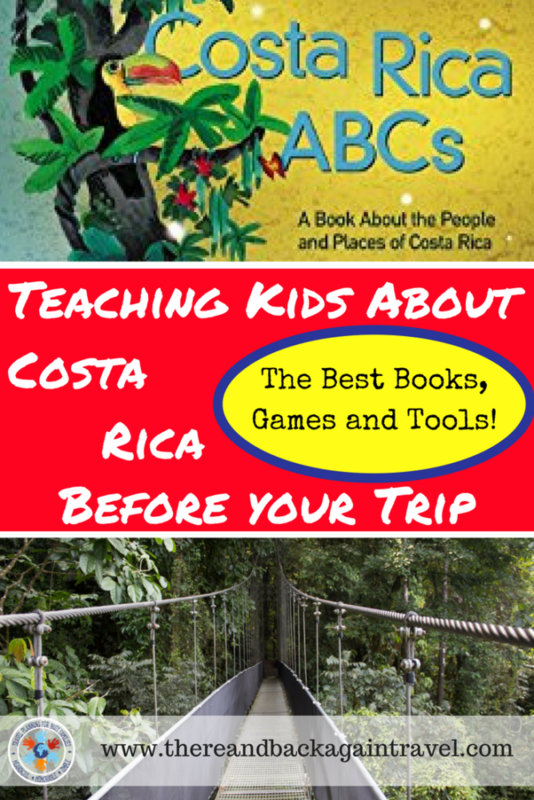 Rainforest Literacy, Science and Geography MEGA Resource: If you love to use travel as a tool for education like we do, you will LOVE this bundle of teaching resources about Costa Rica! 100 First Spanish Words Sticker Book : I don’t know about your kiddos, but mine love anything with stickers. 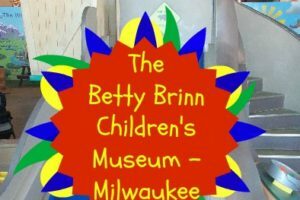 What a perfect, hands on way to teach basic Spanish words to toddlers! Brainy Baby Spanish and English Flashcards, DVD and Boardbook Collection Deluxe : I LOVE working with flashcards because of how portable and convenient they are. This is a great set – you could use the dvd and book at home and take the flashcards with on your trip!